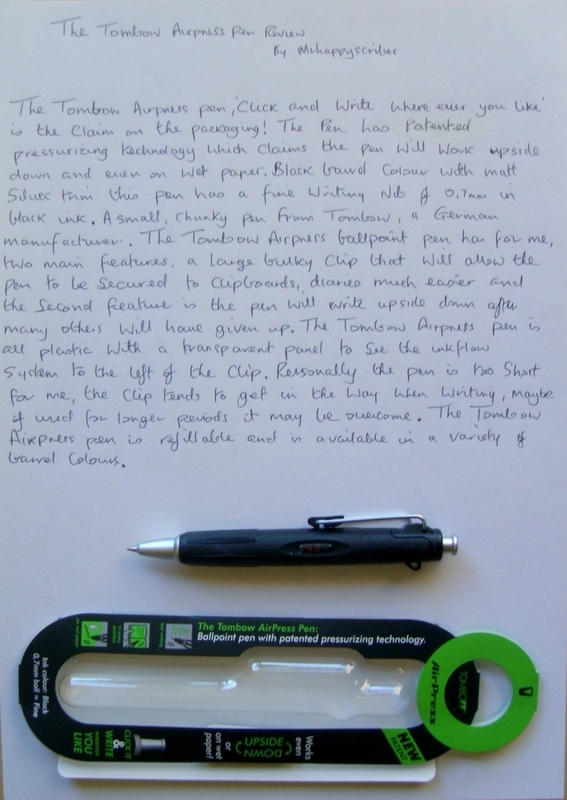 The Tombow Airpress pen; Click and write wherever you like is the claim on the packaging! 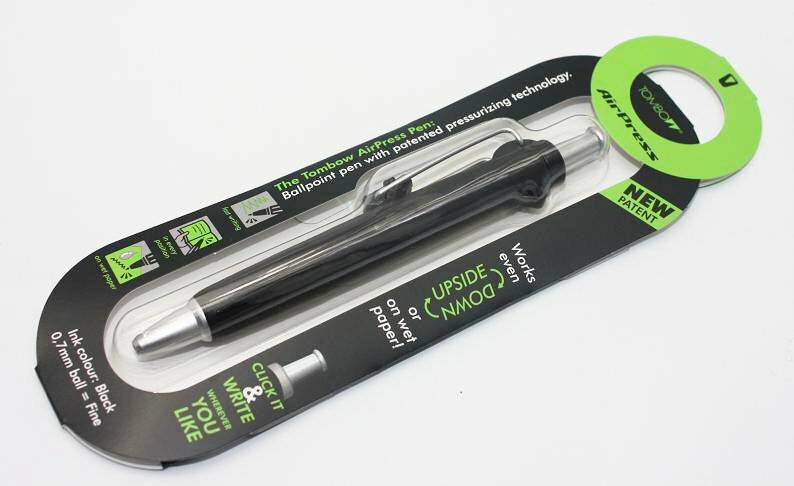 The pen has patented pressurizing technology which claims the pen will work upside down and even on wet paper. Black barrel colour with matt silver trim this pen has a fine writing nib of 0.7mm in black ink. A small and chunky pen from Tombow; A German manufacturer. The Tombow Airpress ballpoint pen has for me two main features, a large bulky clip that will allow the pen to be secured to clipboards and diaries much easier and the other feature is the pen WILL write upside down after many others will have given up. The Tombow Apress pen is all plastic with a transparent panel to see the ink flow system to the left of the clip. Personally the pen is too short for me, the clip tends to get in the way when writing, maybe if used for longer periods this may be overcome. The Tombow Airpress pen is refillable and is available in a variety of barrel colours.